Do you know who Jay-Z is? If not, chances are your kids do. 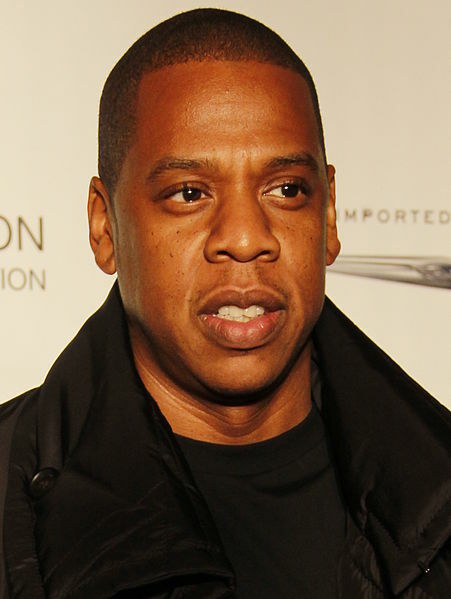 Jay-Z is one of the most successful rap artists of all time, and has parlayed that success into a career in fashion, merchandising, his own line of vodka, as well as an ownership stake in the NBA’s New Jersey Nets franchise that he recently sold to begin a new career as a sports agent. More than anything, Jay-Z has found a way to brand himself as someone who brings glamour, street credibility, and cool to any project he is involved with. His success, beyond the normal hard work and talent, is ultimately in marketing himself. Where do Doctors come in? The healthcare industry is focused on marketing more than ever. Declining reimbursement, increasing regulation, and the long-term shift from volume to value have turned the heat up on physicians, practices, hospitals and systems to change the way they do healthcare business to cut costs, improve outcomes for patients and deliver more value. Cost matters now more than ever for all the stakeholders in healthcare, and with more competition comes the need for ways to separate yourself in the market, and engage with potential and current patients. To promote his album, Jay-Z ran a commercial during Game 5 of the 2013 NBA finals announcing that he had recorded a new album, and that it would be available to download, free of charge for the first million people to download it from a mobile app made especially for the release. The catch? The album would only be free to people who had a Samsung mobile device – a mobile phone or tablet. Jay-Z signed an exclusive deal with Samsung to promote the album (modestly titled Magna Carta Holy Grail), Samsung products and the free mobile app to get the album before it was available via retail. Because of the hype (and the price, of course) the million downloads happened almost as soon as the album was made available on July 4th. Samsung purchased the albums from Jay-Z, so RIAA certified the album Platinum immediately. Samsung was able to associate themselves with one of the biggest music releases of the year, and guarantee that only their current (and future) customers were first to hear it. More than that, using the permissions of the mobile app, both Jay-Z and Samsung were able to get tons of valuable market research about the internet and mobile habits of the downloaders. The fans (at least the first million of them with a Samsung) got a brand new album from Jay-Z for free. This is a basic form of content marketing, but it was groundbreaking for an artist as big as Jay-Z and a company as big as Samsung. Market research is critical. Jay-Z made a few million selling the digital copies of his album to Samsung, but the information he gained from the app downloads was priceless for future collaborations. The more you know about your patient base and where they come from, the better. For niche specialists, your market might be global so you’ll need to know more about them to reach them. Market research can take many forms, from hard data from census and surveys to anecdotal methods as simple as asking one of your patients “What could we be doing better?” In a future where providers are reimbursed based on value, leveraging the data in your EMR to understand your patient population as a whole will be critical to many of your most important business operations. You gain by giving things away for free. By buying and giving away a million Jay-Z albums, Samsung became aligned with a major force in global culture and music – and probably sold a few phones too. What about all of the questions you hear over and over again on the phone and in office visits? Seasonal stuff about allergies, sunburns, the flu and physicals for sports. What if you gave this info away to anyone who wanted it on your practice website? With the changes coming in the ACA, what if your practice manager wrote a post or white paper about how your patients can prepare for what will and won’t change? If your practice offers a special service that is hard to find locally for many people, what if you prepared an ebook about how your particular therapy benefits patients, or how they can change other lifestyle habits to complement their current therapy? All of these things are ways to reach a wide variety of people, gain credibility, and give away high-quality free information that can be converted to marketing leads for your practice. Separate yourself. Jay-Z probably couldn’t have released his first album in this manner. Jay-Z has been successfully building his brand for almost twenty years now though. The name Jay-Z has come to mean quality. To compete and thrive, healthcare providers must be able to offer a level of service and execute that service in a way that makes them stand out from the crowd. If someone moves to town and Googles the name of family practice doctors in your area, do you know whose practice comes up in the results, and how you can capitalize on that? If people ask their neighbors who is the best cardiologist in town, would they say your name? If you treat a more specialized population, where do they gather to compare caregivers, and what do they say about you? To brand yourself today as a quality care provider, you have to actively highlight and grow your footprint and reputation for outstanding value and patient satisfaction. Physicians and other healthcare providers may never listen to Jay-Z, or any rap. But chances are, Jay-Z’s marketing example could lead the way. If you would like to receive Manage My Practice articles via email, click here to subscribe.